The Missoula Chamber Education Series offers professional development training in a variety of topics on Wednesdays in the Eloi Executive Room at the Missoula Area Chamber of Commerce. EOS Workshop on September 5: Get A Grip On Your Business with EOS – Entrepreneurial Operating System. Frustrated? You used to control your business, but now it controls you. Your employees are no longer pulling in the same direction. You’ve hit a ceiling and don’t know how to get past it. Attend this workshop to receive a comprehensive review of the EOS model and tools. See your business from a different perspective and receive a basic understanding of how the tools may be directly applied to your company for immediate benefit and impact. Presented by Jerry Kauffman, Professional EOS Implementer. Marketing Basics for Business Owners: Intro to Mobile Marketing on September 19: In our 3rd installment of the Marketing Basics for Business Owners series, we will cover Mobile Marketing. This workshop is for everyone. No technical skills or marketing background necessary. Easy to follow step-by-step action plans to develop your mobile marketing. Presented by Big West Marketing & Read Mobile Marketing. Leadership Training: Communicate Up, Down, and Across on September 26: In the 12th and final installment of our Leadership Training series presented by Cascadia Business Development, we will cover Communicating Up, Down, and Across: Identify and understand your communication style and those of your staff/colleagues. Craft clear, concise, proactive messages to communicate clearly and effectively. Understand the needs of the recipient regarding frequency, delivery method and level of detail. The Missoula Chamber Education Series is sponsored by the Missoula Current. 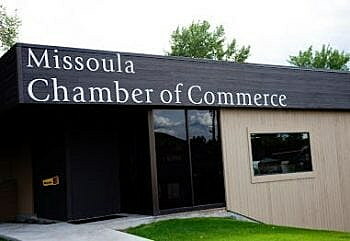 If you are interested in presenting in or attending the Missoula Chamber Education Series, please contact Amanda Jamison, Director of Member Engagement for the Missoula Area Chamber of Commerce at 406-543-6623 or amandaj@missoulachamber.com.